What do you think of Oscar rejecting the massive salaries being paid in China? 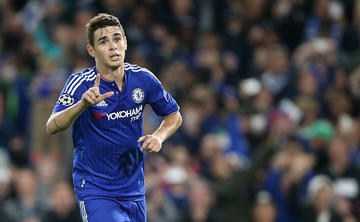 Oscar revealed last week that he rejected the advances of a Chinese side that would have paid extortionate amounts of money because he has no interest in leaving. What do you think of his decision? I think it's fantastic if I am honest. Ramires going is a different story as he is older and has achieved so much at Chelsea, but for Oscar to reject the chance of earning top, top wages to stay here is commendable and shows that money isn't everything in football. “Of course I was sad to see [Ramires] go in the sense that we're from the same country, we're friends, we speak the same language and help each other out, but it's a good move for him. There was interest in me but I've no desire to leave Europe. The idea of moving to China would be such a huge change for me and would go against everything I've achieved so far. To have the balls to turn down a massive amount of money to stick with what you believe in and what you have been working for is fantastic and the right attitude in my opinion. How on earth these Chinese sides are going to be able to sign and keep hold of these players after a couple of seasons is beyond me. We have seen the likes of Ramires leave for £25m, Alex Teixeira joining Jiangsu Suning for £38.4m Lavezzi leave PSG to sign a contract worth a reported £400,000 per week and Jackson Martinez leave Atletico Madrid for £31m. It's barmy! Credit Oscar in addition because he finds himself in and out of the side and not a regular starter as much as he would like to be. It could have been so easy for him to decide to leave for two or three years, come back when he is 27 after earning enough money to set him up for life but he chose not to. The question remains that if someone like Juventus come in for him, if he would leave! What do you think of his decision to avoid the financial reward and to stick with playing his football in Europe? What do you also think of the sudden influx of money from China? Do you think the Chinese League will last?